The Campbell Hausfeld general purpose spray gun (DH320000AV) is ideal for carpentry, home and hobbyist projects. 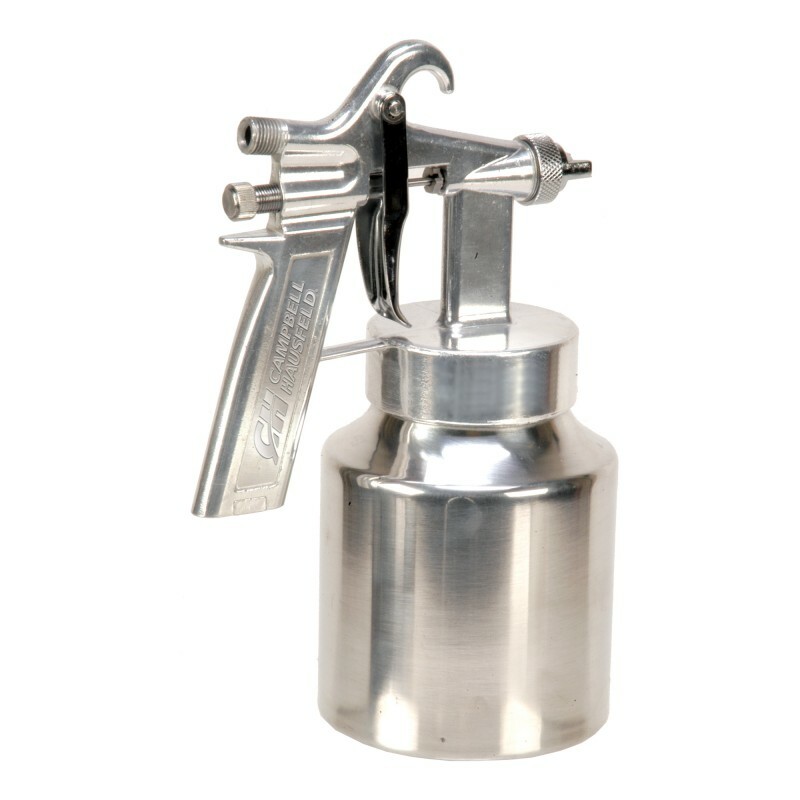 The pressure-feed design on this spray gun handles multiple viscosities, so it sprays thin liquids like stain and thick liquids like paint. 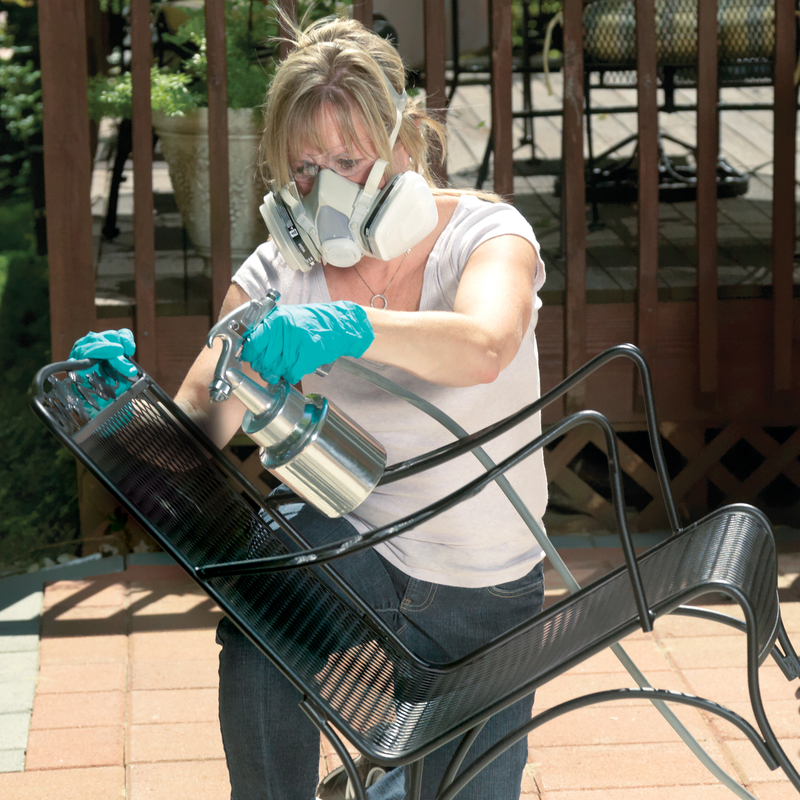 A fluid control regulates the amount of material sprayed to help deliver great results. 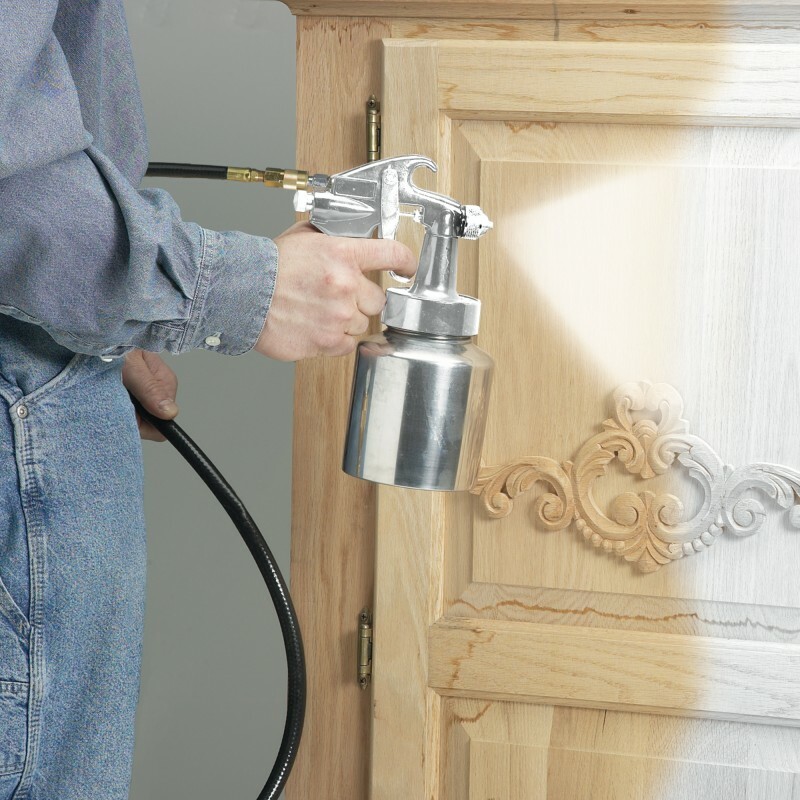 A low air volume requirement of just 1.5 SCFM @ 40 PSI means this spray gun can operate even with tankless air compressors.